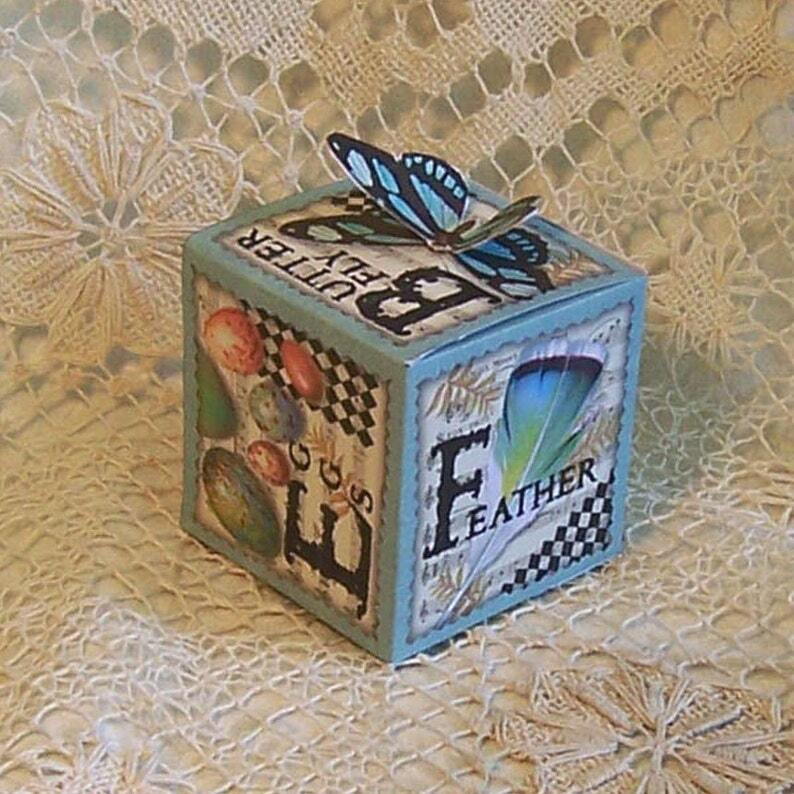 This unique gift box can be used to contain all kinds of tiny treasures or as a or party favor. It is large enough for candy, jewelry, or even cash. Simply print out the file onto cardstock using your inkjet printer, score, cut, and assemble. The sheet comes with matching butterfly gift tag (not shown in photo). Size: Box is approx. 2.5 cube. NOTE: Digitals are not returnable. You will get the jpg and pdf versions. You cannot sell or give away the file or printouts of the file.